Take a look around; flowers abound, flowing dresses litter the streets, and the sun is out in full force. We are finally out of the dredges of winter, the darkness has cleared, and Spring has officially sprung. 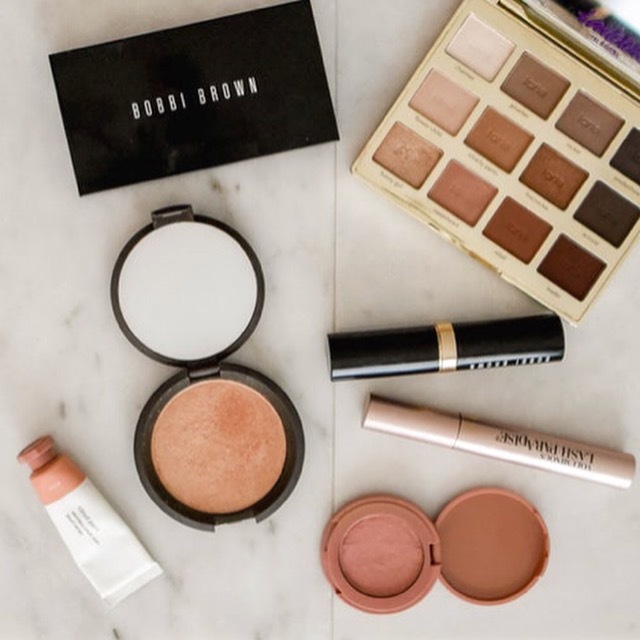 With the weather taking a turn to the warm side, one of the hottest trends for makeup this season is all about a fresh-faced, dewy look that will compliment you from the gym, to the office, to a dinner date with minimal effort. To provide the foundation for flawless skin, a consistent skincare routine is a must. Nip + Fab products, which can be found at Ulta.com and First Aid Beauty products, which can be found at Sephora.com provide the perfect solutions for all skin types and trouble areas. Consult your beauty gurus at these establishments, to figure out the right combinations to leave your skin looking flawless, with or without makeup. Achieving this look is not without prepping your skin after your skincare regimen. However, it is a light look that doesn’t require you to load on the foundation. As a base layer, I would suggest a CC cream, or a tinted moisturizer. Juice Beauty’s, “Stem Cellular CC Cream”, which retails for $39. Is a multi purpose cream that is organic and natural, contains 30 SPF, boasts a 12 in 1 fix, and is cruelty free. Environmentally safe and good for my skin you say? Sign me up! Here’s the part that’s going to get your cheeks poppin’. The final step to our spring/summer 2018 look is not without highlighter and blush. My recommendations for highlighter and blush are Fenty Beauty Match Stix Shimmer Skinstick, Sephora - $25, Tarte Amazonian Clay 12-hr Blush, Ulta - $26, or Becca X Chrissy Teigen Glow Face Palette, Sephora - $46. You can choose to wear a bold blush by itself, highlight your face only, or combine a high highlight and natural blush combo. My personal favorite is the Becca X Chrissy Teigen Glow Face Palette, because it has two highlight colors, a bronzer, and a blush. Maximizing your glow power, and giving you all the basics you need to look on Brand and flawlessly dewy all season.